Are you fed up of the tiles in your bathroom? If you have answered yes, you definitely need to get in touch with Stile IT today. Our bathroom tiling in Southampton is second-to-none and will breathe a whole new lease of life into an otherwise tired and worn design. At Stile IT, we are the industry leading specialists when it comes to the provision of specialist floor tiles. Our Southampton bathroom tiling company will help you to rediscover the wonders of relaxing in the tub after a long stressful day. Escape from the rush of your hectic lifestyle with a bespoke design that exudes both luxury and comfort. We understand the frustration that comes from tiles that are old and worn out, cracked or missing. Hire our company today and we will pop round to discuss your requirements and offer you a professional in-house design service. Our team will provide you with the finest choices with customisable colours guaranteed to suit all styles and preferences. Once you have chosen your desired wall and floor tiles our tilers will set about carefully installing your new bathroom tiling in Southampton. We take pride in our workmanship and in the quality of the materials that we use. Plus, we will afford you and your home with the utmost respect and will ensure that all project related mess is cleared away upon completion. Should you require it, our team can also provide other fantastic services such as underfloor heating to give your floor tiles that extra feel of luxury. At Stile IT, we have more than 15 years of experience and in that time, we have built for ourselves a well-earned reputation. Our goal has and always will be to go above and beyond the expectations that you have of us with services that are both high-quality and affordable. 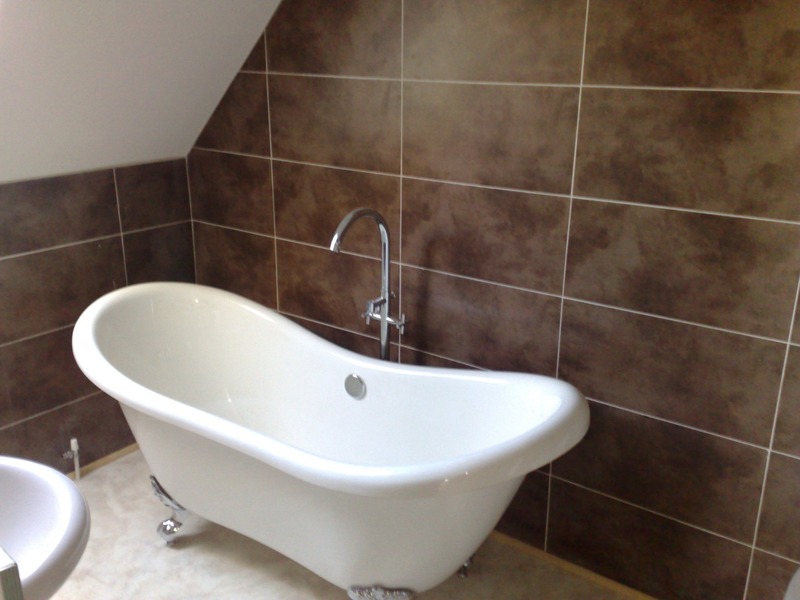 When you hire our Southampton bathroom specialists, you have the added reassurance of knowing that you are fully covered by a two year workmanship guarantee and a five year product guarantee. As the best business for bathroom tiling Southampton has seen we are confident that you won’t find better tiles anywhere else. Should a problem occur, however, simply let us know and we will aim to get it fixed again in no time at all. If you’d like, we can also provide you with customer references and testimonials. If you are looking for inspiration, check out our gallery to see what makes us the finest supplier of bathroom tiling Southampton has experienced. Take care of your bathroom tiling in Southampton today by calling Stile IT. Contact us on 02380 633966 for more information.